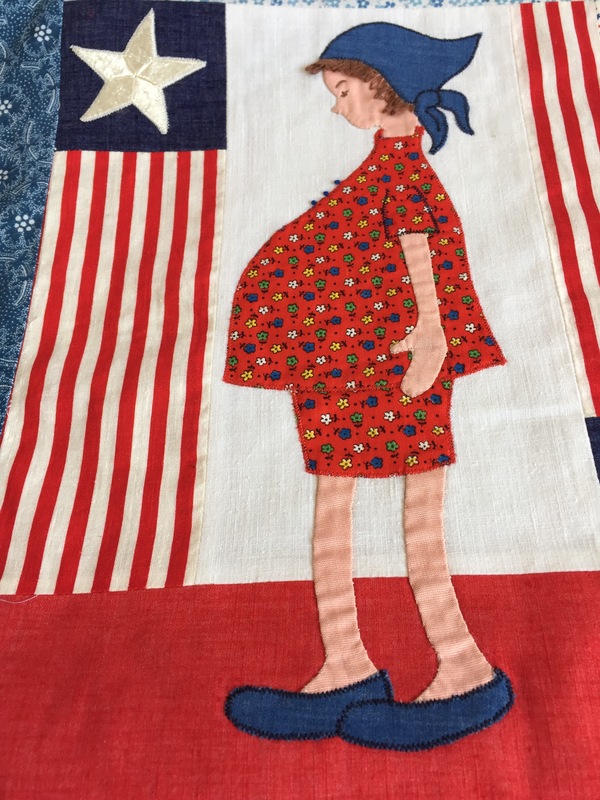 This quilt top was acquired from one of the women who made it, Karen Smith. 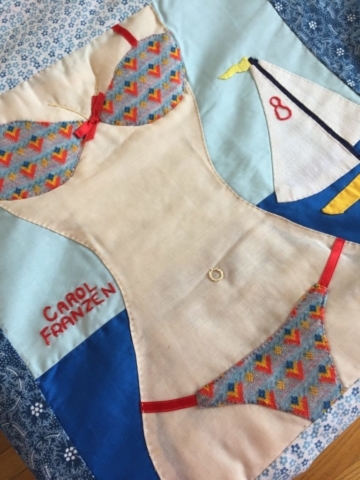 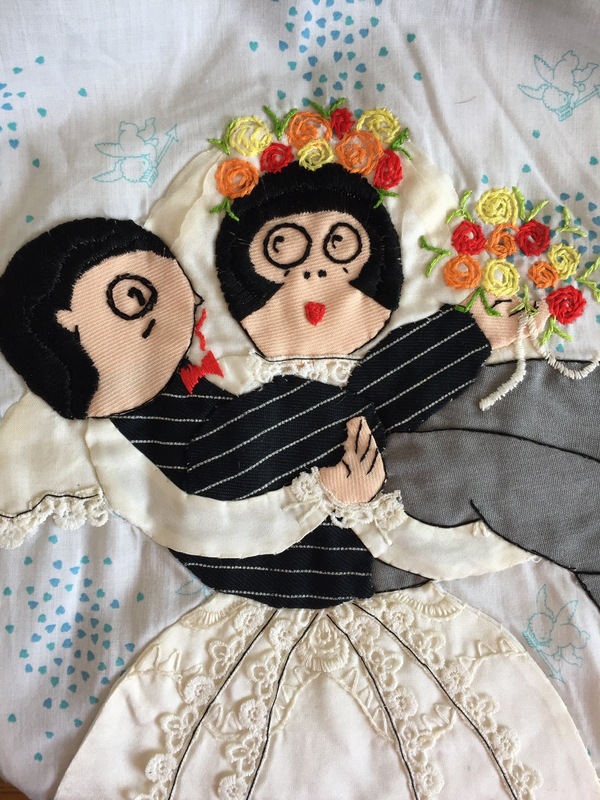 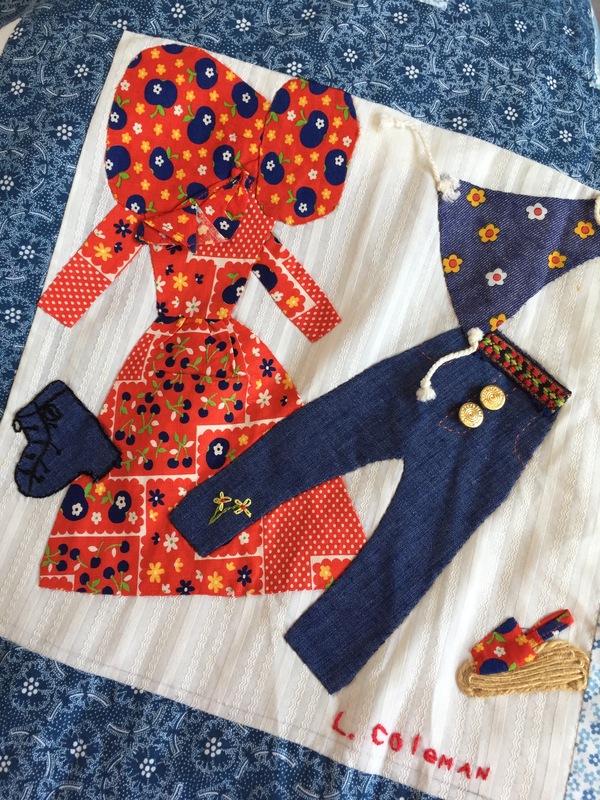 She explained that it was the project of a 1975 quilting class taught by Pam Hammond in Chatsworth, California. 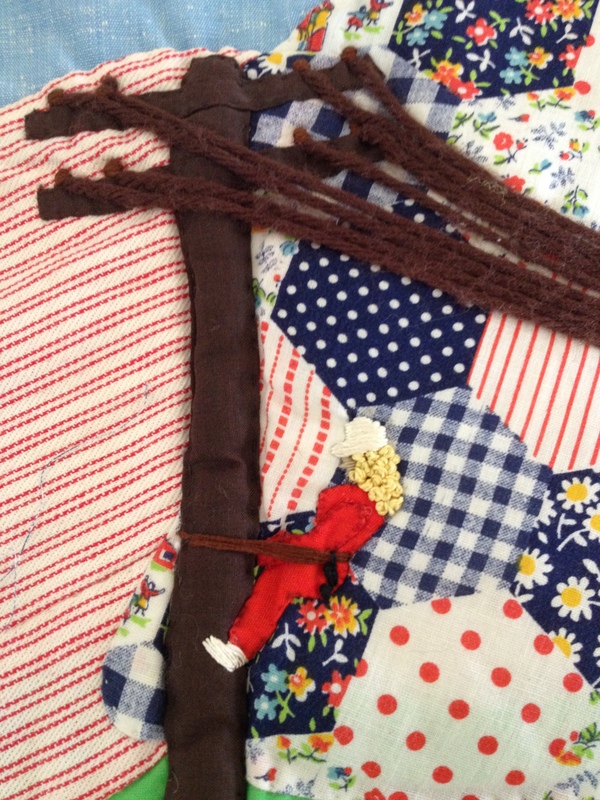 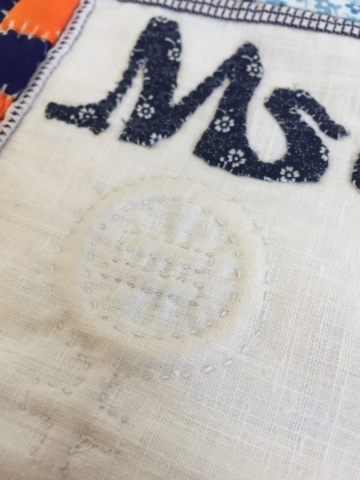 Smith won the quilt in a class raffle, and had tucked it away undisturbed for almost 40 years. The task given to the each student was to create a block about women. 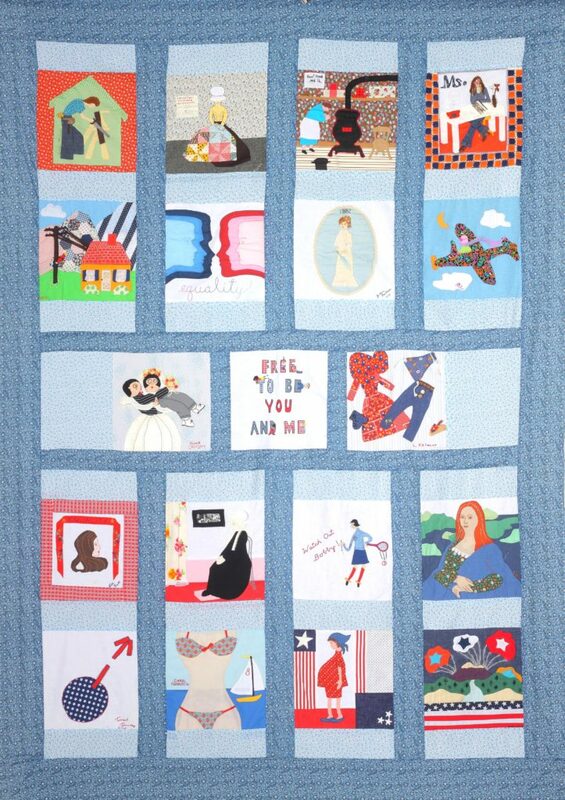 Smith’s block can be seen second from left in the top row of the quilt. 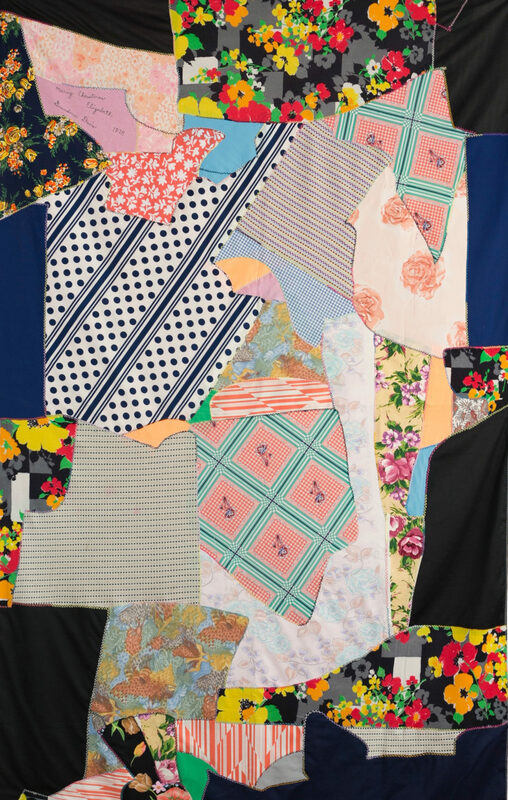 This quit top exhibits the deeply layered applique story work often found in 1970s quilts. Each block is exquisitely detailed. The top as a whole expands notions of women’s work, while still embracing historic domestic work of women. 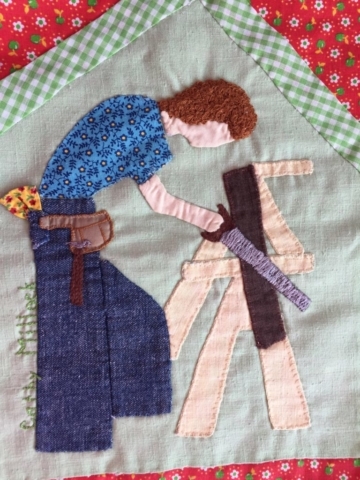 Smith’s block depicting a woman working on her quilt with a needlework sampler on the wall is paired with a block depicting a female shopkeeper. 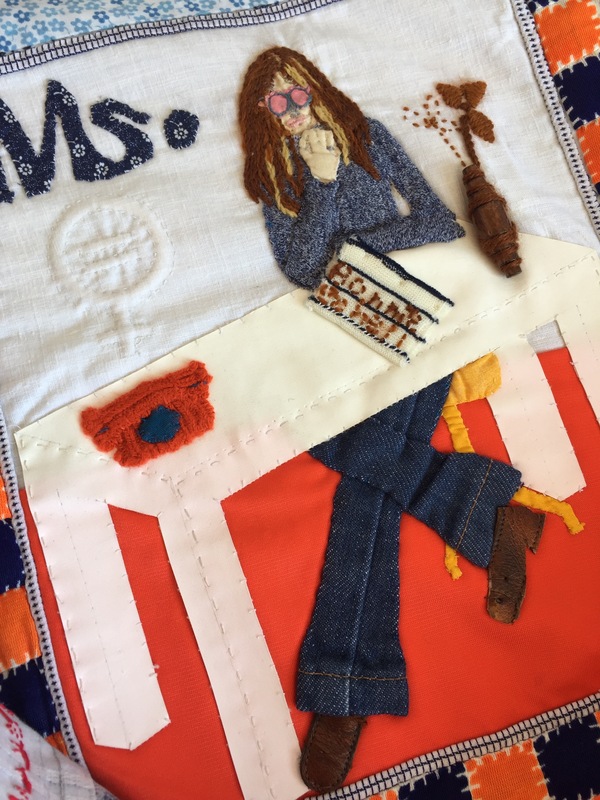 Both are sandwiched between a woman working as a carpenter and an homage to Gloria Steinem and Ms. magazine. 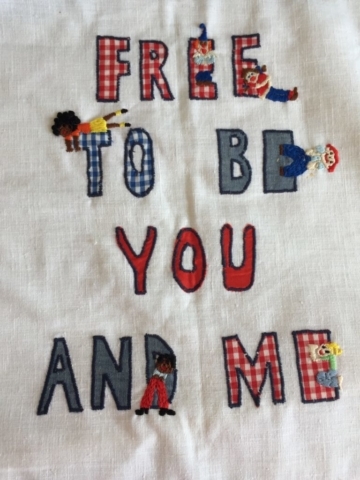 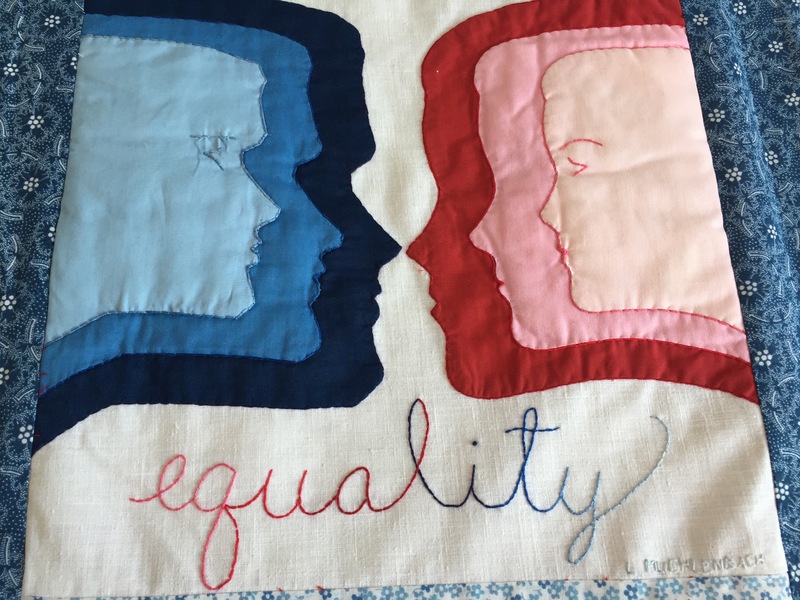 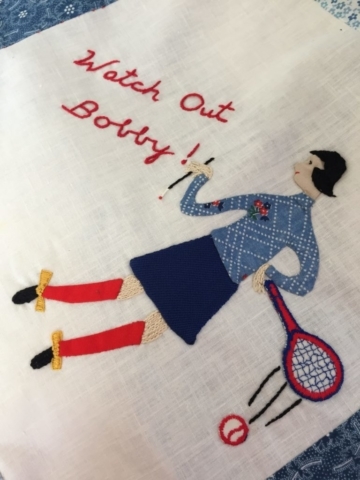 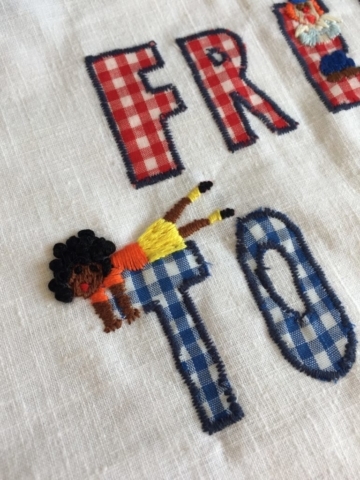 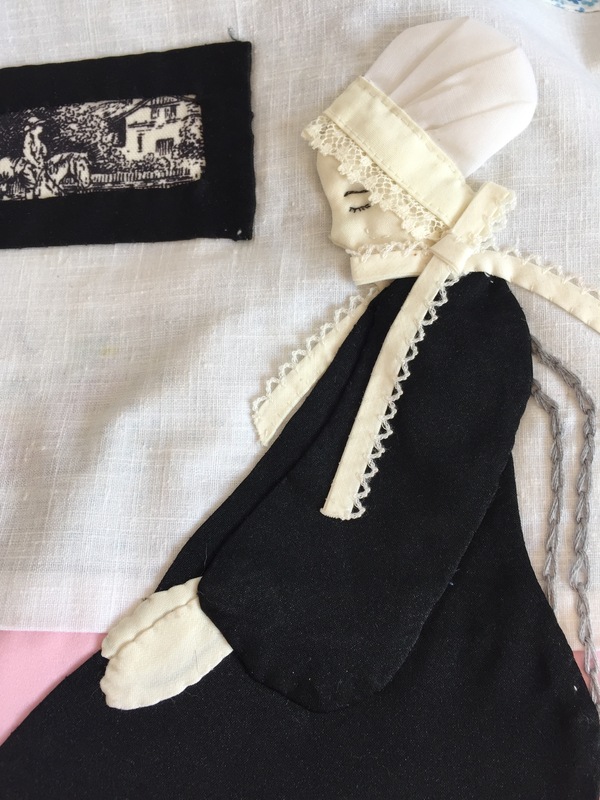 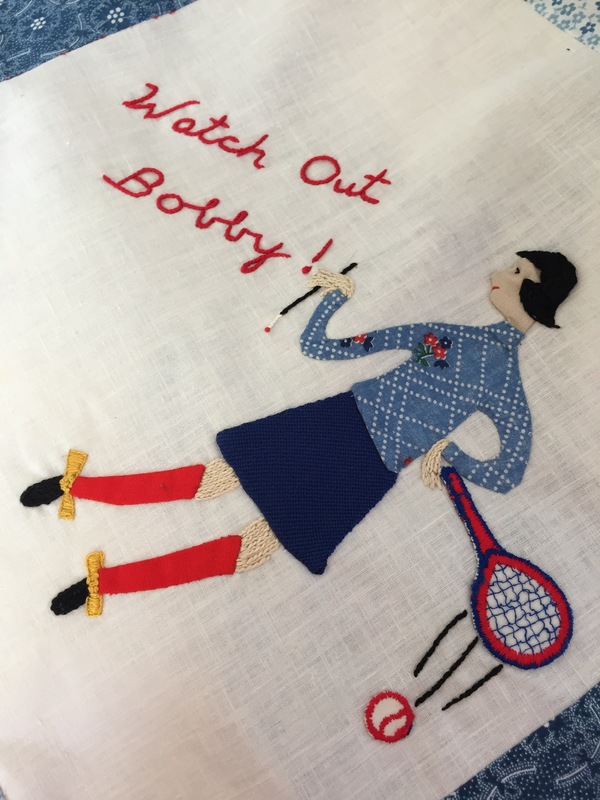 This piece was featured in Quilts and Human Rights by Marsha MacDowell, Mary Worrall, Lynne Swanson, and Beth Donaldson, published by the University of Nebraska Press. 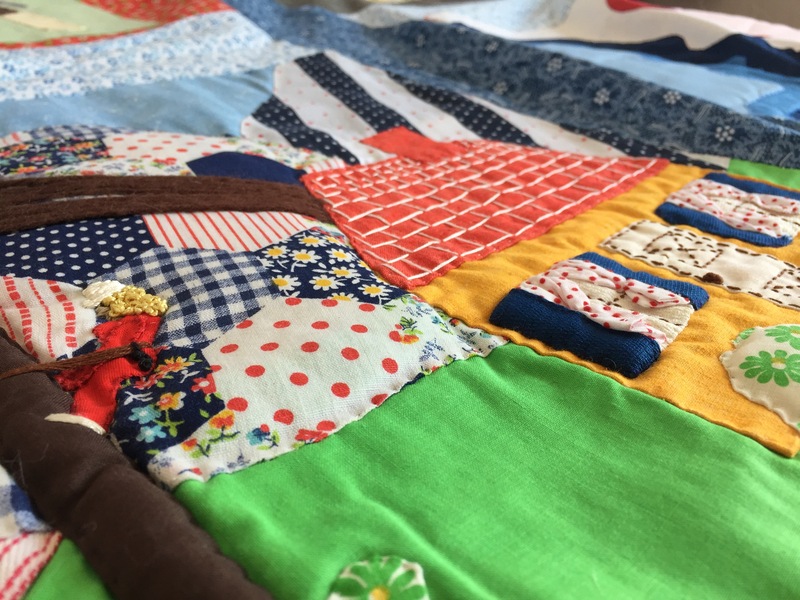 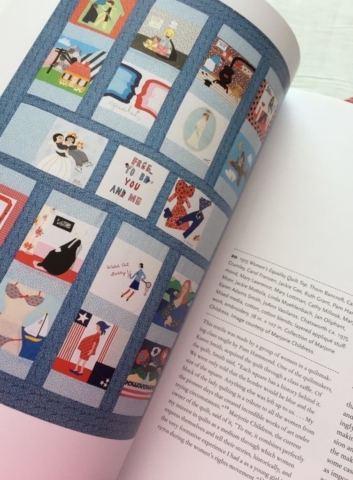 The authors situate it within a surge of pictorial quilts created in the 1970s to depict community and commemorative events, as well as within a much longer tradition of social-reform quilts, a tradition ongoing today.